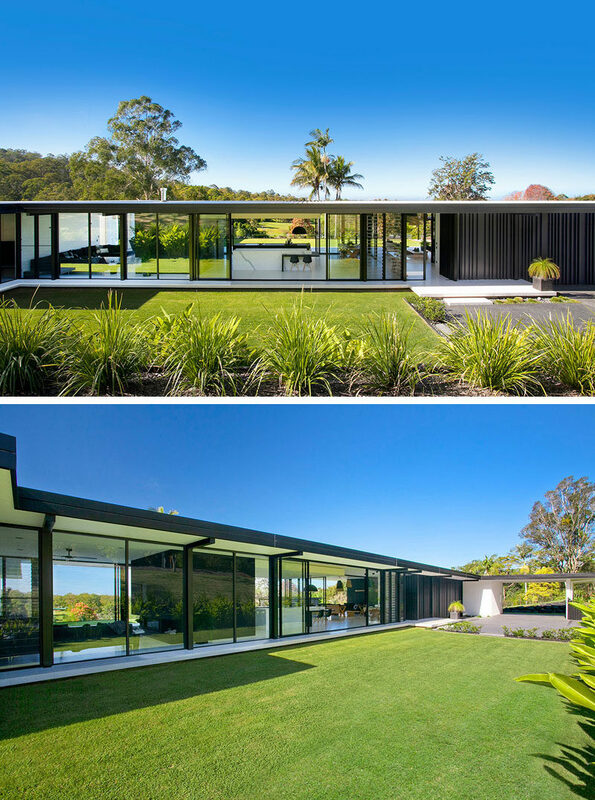 Australian architect Sarah Waller has sent us photos of her latest project, a modern home overlooking a golf course that she designed for herself and her family. 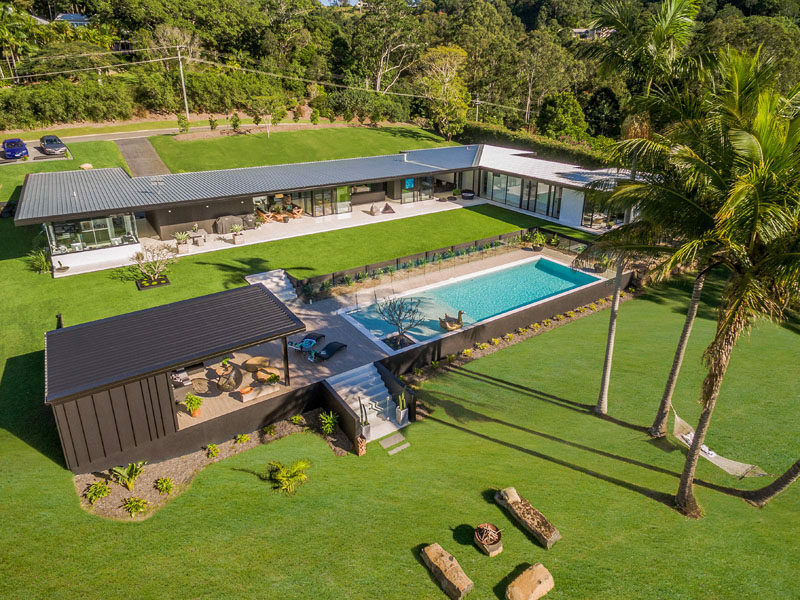 Inspired by the simplicity and sophistication of mid-century modern architecture, the home is a single level design and is spacious in its layout. 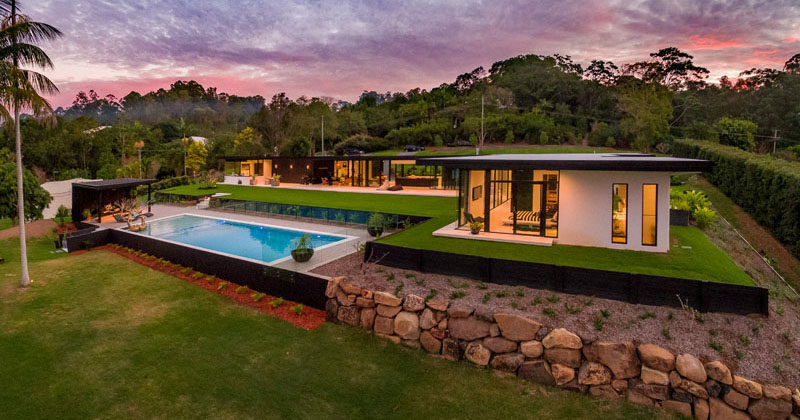 At the rear of the home, there’s a lawn area before stepping down to the swimming pool surrounded by lush landscaping. Off to the side of the pool is a cabana that’s been furnished with casual and comfortable pieces as well as a hanging chair. At night the cabana is lit up, ideal for outdoor entertaining. 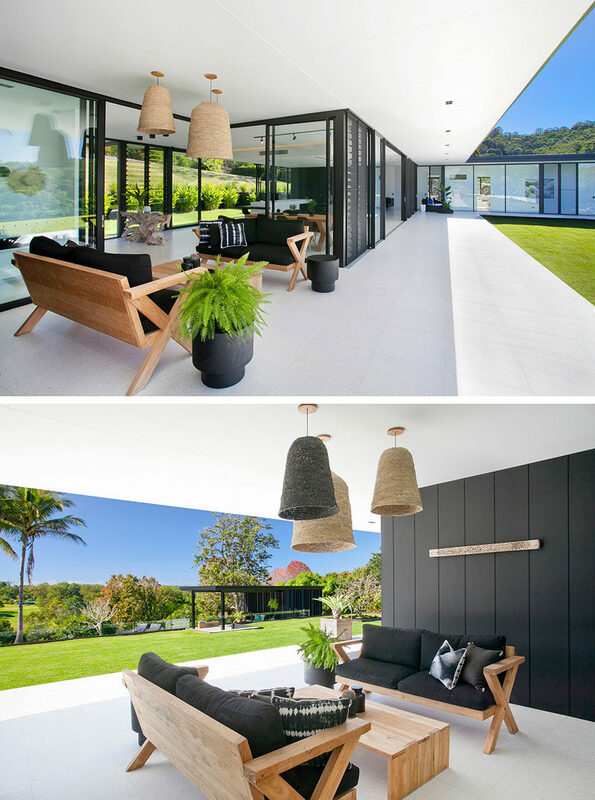 Heading back up to the house, there’s an outdoor lounge that blurs the line between indoor and outdoor living. 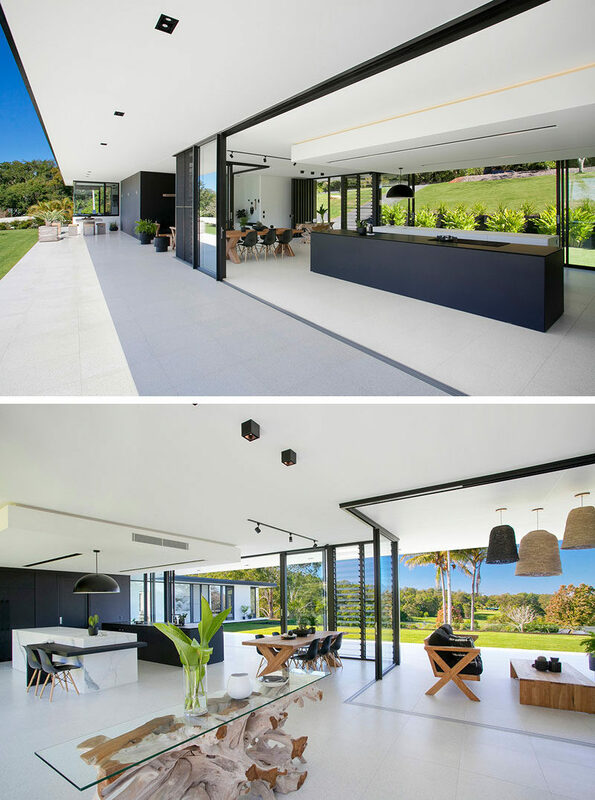 The main living area is open to the backyard, with large overhangs providing shade for the interior of the home, important for those hot Australian days. Inside, the black and white minimalist kitchen makes a statement. The fine matte black laminate and the marble-look porcelain used in the design of the islands reflect the linear monochrome feel throughout the home. A large black box hides the essentials of the kitchen, and inside, there’s plenty of storage, an additional butlers sink and extra prep space. On the other side of the black box is the living room. A tv is positioned above a fireplace, and a large sofa makes it the ideal place to watch movies. Down the hallway, there’s a small study area that’s been built-in. 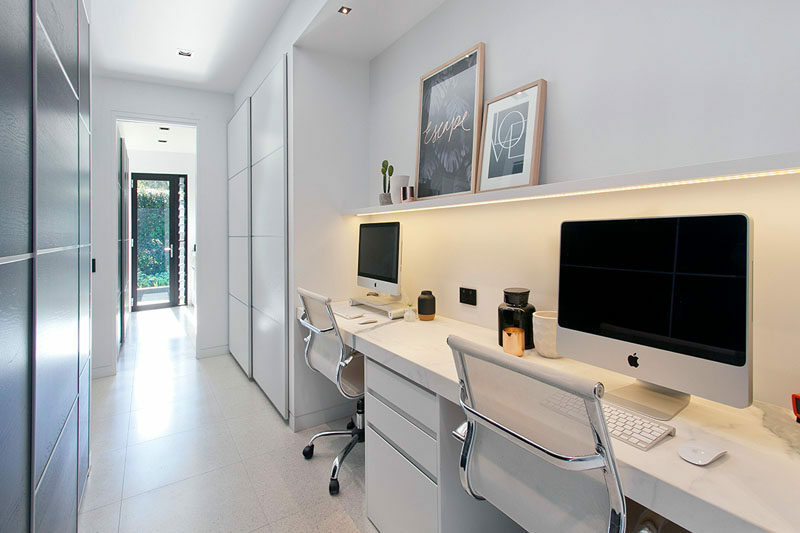 Hidden lighting underneath a picture rail provides a soft, ambient light for the work area. Almost entirely surrounded by glass, the master bedroom has views of the pool and backyard. The master bathroom opens up to the outside, where there’s a secluded area with an outdoor shower and a deep free-standing bath. Here’s a look at the children’s bedrooms. 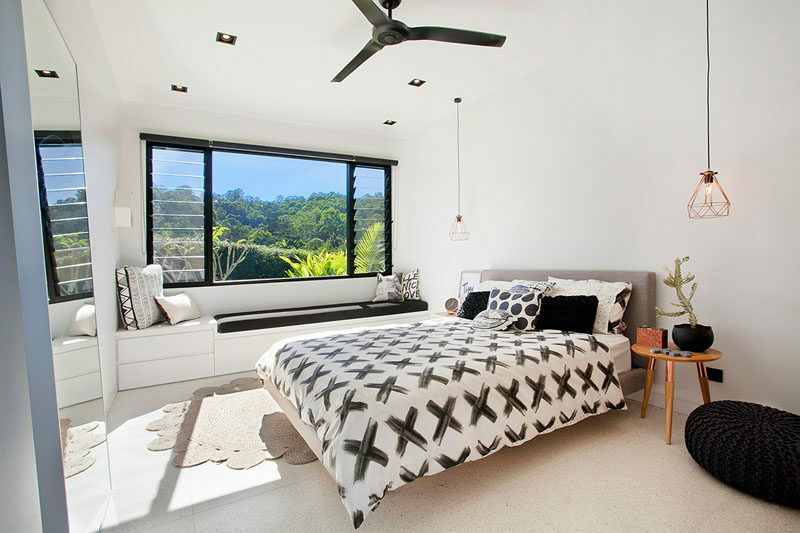 Both bedrooms have built-in window seats with storage underneath, perfect for sitting and reading a book or daydreaming while looking outside at the treetops. 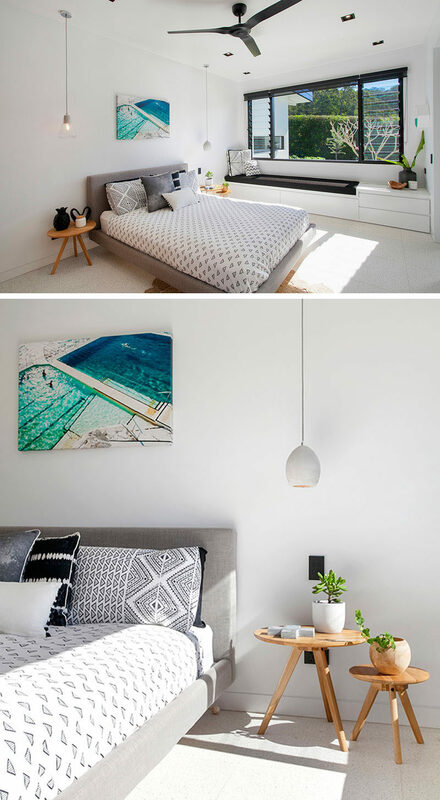 The bedrooms also feature simple pendant lights as bedside table lamps. 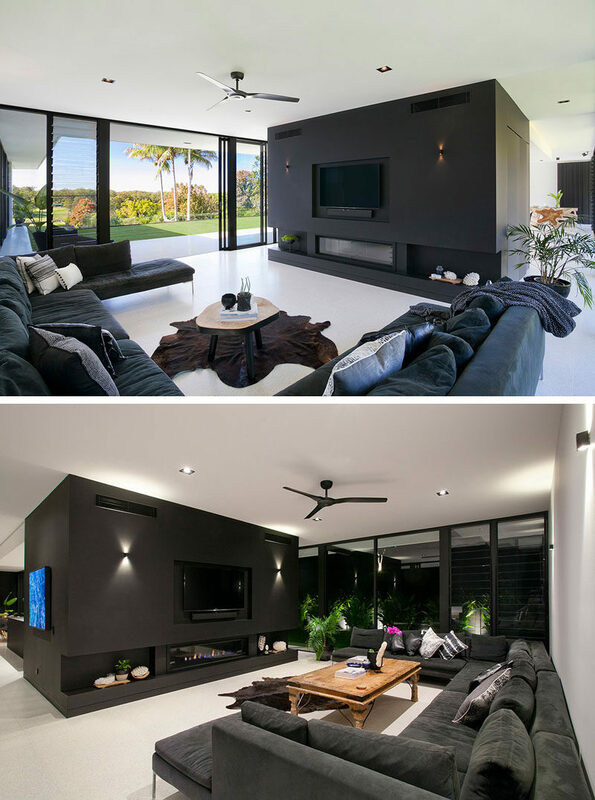 To create a cohesive look, the black fans match the black window frames, the black window seat cushion, and a couple of black decor accessories. Black is carried through in this bathroom, with the black framed mirror. 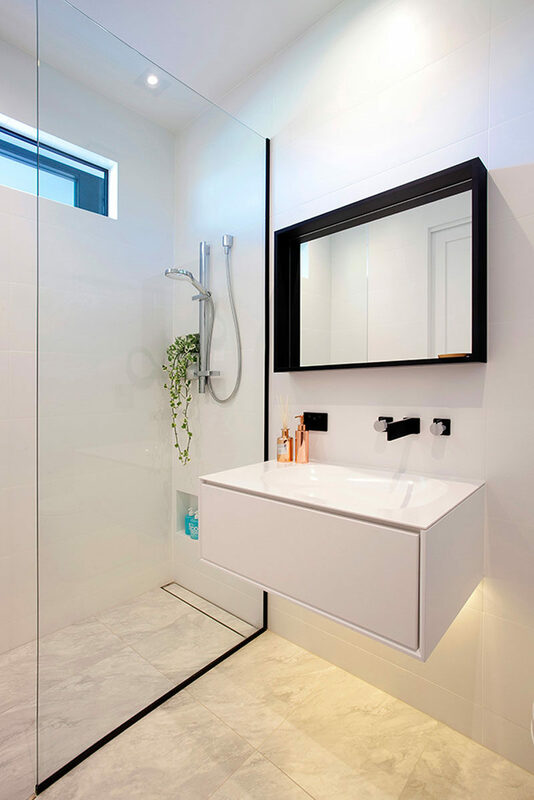 The floating vanity creates a modern look and hidden lighting underneath makes the space feel bright. 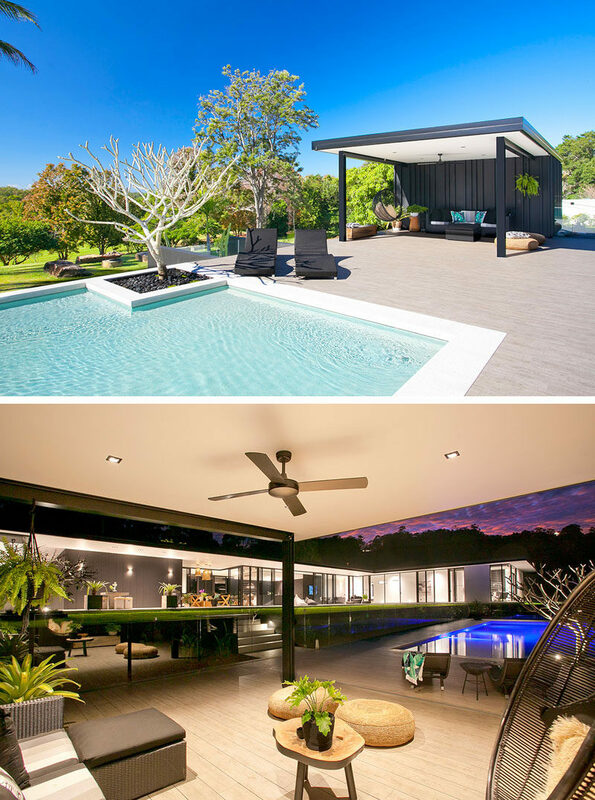 At the other end of the home and overlooking the backyard and swimming pool is Sarah’s design office. 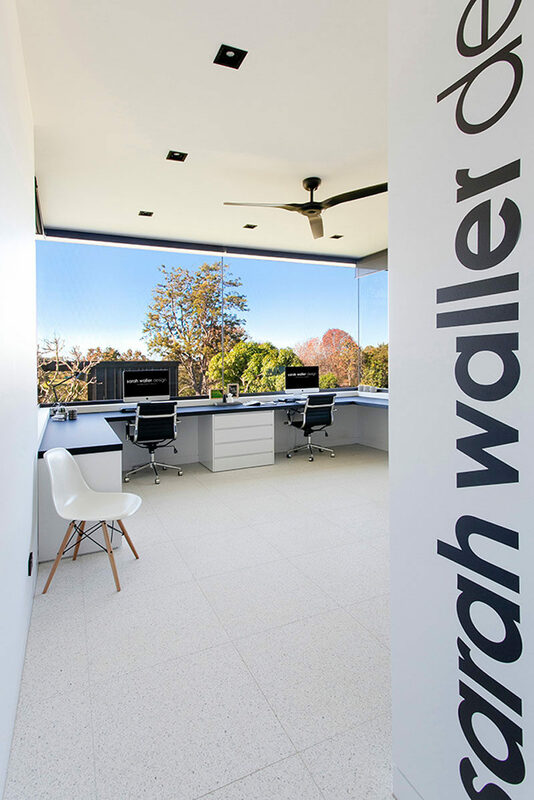 Sarah says, “To manage the entire process and bring it all together is incredibly satisfying and now we’re living and experiencing the home, you get a true appreciation that beyond its aesthetic qualities it has a wonderful feel. Sometimes I have to pinch myself it’s ours”.